BBC: New York has, over the last few centuries, become one of the world’s most densely packed cities. But what if you could redraw the city’s map – and build it from scratch? If we were designing New York today, how different would it look? The new New York City would balance the relationship between the information networks that the metropolis depends on and Earth’s finite resources. All vital components of life would be monitored and attuned to the needs of every organism, not just humans. Supplies of food and water, our energy and waste and even our air would be sensibly scrutinised. Thanks to masses of miniaturised low-cost electronic components deployed across the city, communication becomes far easier. New York will grow and adapt to millions of new minds entering it everyday. The city would make sure every need is provided for within its borders. How we provide nutrients, transports, and shelter would be updated. Dilapidated buildings would be replaced with vertical agriculture and new kinds of housing would join cleaner, greener ways to get around the city. What were once streets become snaking arteries of livable spaces, embedded with renewable energy sources, low-tech, green vehicles for mobility and productive nutrient zones. The former street grid could provide the foundation for new flexible networks. By reengineering the obsolete streets, we can create robust and ecologically active pathways. 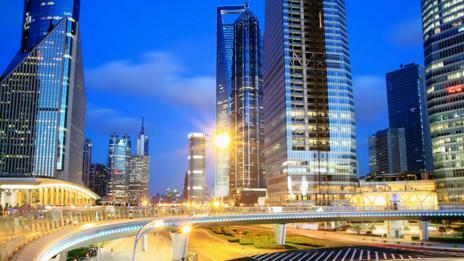 While all this may sound optimistic, some of this city of tomorrow is already taking shape. 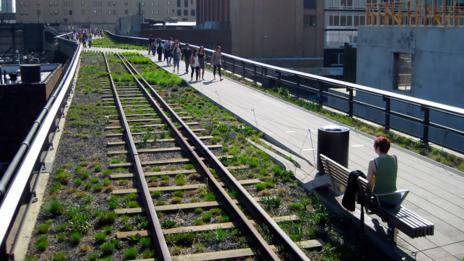 The Highline is a perfect case of adaptive reuse. This former elevated railway was converted into a public promenade and restorative ecological spine for the city. The raised streetscape helps retain rainwater, over 200 plant species, recreational green space; the freight trains are gone, replaced by people walking and cycling. 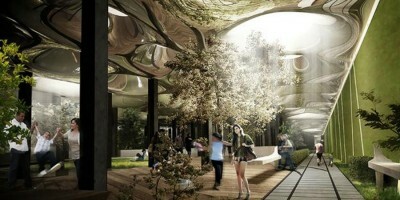 The Lowline, meanwhile, is a strategy to position state-of-the-art solar equipment to illuminate a discarded underground trolley station on the Lower East Side of NYC. This concept is to create an appealing underground common space, delivering an attractive ecological space within the heart of this crowded metropolitan environment. Then there is Vision 42. This enterprise re-imagines an upgraded light rail transport at Midtown Manhattan as an alternative to traffic congestion. It’s designed as a crosstown, low-floor moderate speed train line traversing river-to-river at 42nd Street. Alongside is a landscaped tree-lined pedestrian street path. Vision 42 is a prototype for an entire network of walkable streets, greenways, and smart transports throughout a future New York. Brooklyn Navy Yard (BNY) is a national model for sustainable industrial parks and green development, and home to companies that aim to be socially responsible and tech-driven, such as Terreform, the think-tank that I work for. The BNY is a former military industrial complex, converted into a clean technology and local manufacturing site; something that will be of utmost importance in any future metropolis. This future city will still have traffic fumes as long as there are gas-guzzling vehicles plying its streets. But improving technology will enable the populace to steer clear of the most polluted zones. NYC Breathe is a wireless pollution sensor that keeps track of urban contaminants. These sensors are added to trucks, taxis, and automobiles and thus accumulate comprehensive pollution data in real-time – all of which is conveniently displayed as a detailed map. But steps are already being taken to make the city help cleans its air. Million Trees NYC has a goal of increasing its cosmopolitan woodland by planting many more trees. Street trees, park trees, and trees on public, private and commercial land are highly valuable. By planting a million trees, we can increase New York’s urban forest by an overwhelming 20%, while accomplishing the numerous quality-of-life advantages that come with them. 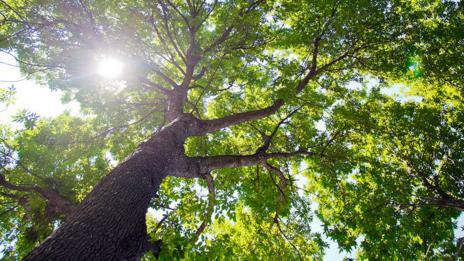 The City of New York will plant 70% of trees in parks and other public spaces. The other 30% will come from private organisations, homeowners, and community organisations. And what of food? Vertical Aquaponics can yield up to 800% more produce than traditional land farming in an equivalent space, while consuming 90-95% less water and power. Farms will be constructed in stacks, rising into the air. By assembling aquaponic farms vertically, it multiplies the power of its food-growing equipment, possibly yielding far more food than conventional farming – and all the time using a fraction of the space and energy. But revisioning Manhattan is more than just an academic exercise, and needs more than what is on the drawing board now. The climate is skewed and cities are partly responsible. We need to act now to observe action later. Many advocates of sustainability encourage operations to achieve the bare minimum or zero impact. These efforts try to do no further harm, but do not try to heal. We need to elevate subsistence-based systems to approaches that not only have a positive impact but are abundant throughout the city. Calculating an ecological footprint is suitable for endurance living. Reversing the effects of pollution is better still. If Manhattan was restructured to be proactive in resetting the climate, other cites may follow. How can we do this? This next version of New York is dependent on planning and preparation. This next version of New York is dependent on us. 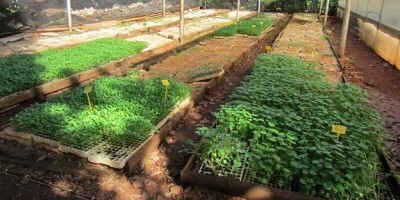 Can city farms feed a hungry world? Ocean living: A step closer to reality?